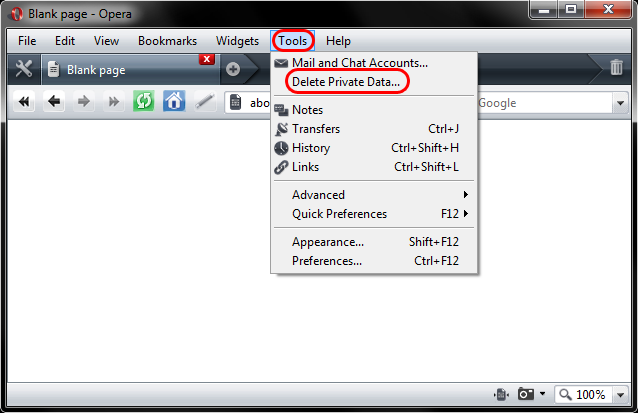 This document explains how to clear the cache and cookies in Opera 9 through 11. Open the red O and then click Settings. Alternatively you can press Alt and P together. In the drop-down box select the beginning of time. 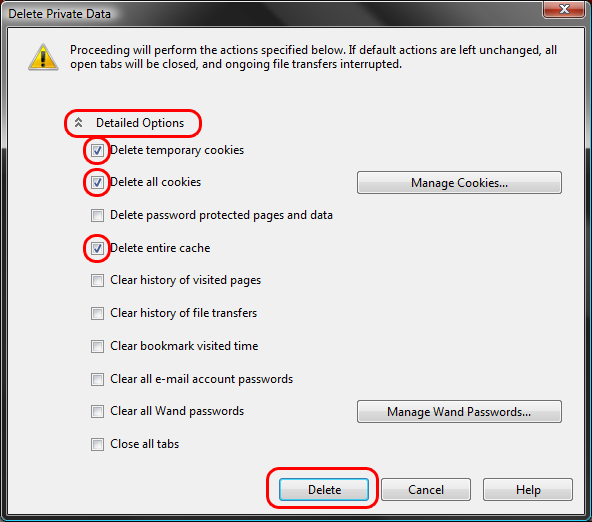 Then check only Cookies and other site data and Cached images and files. 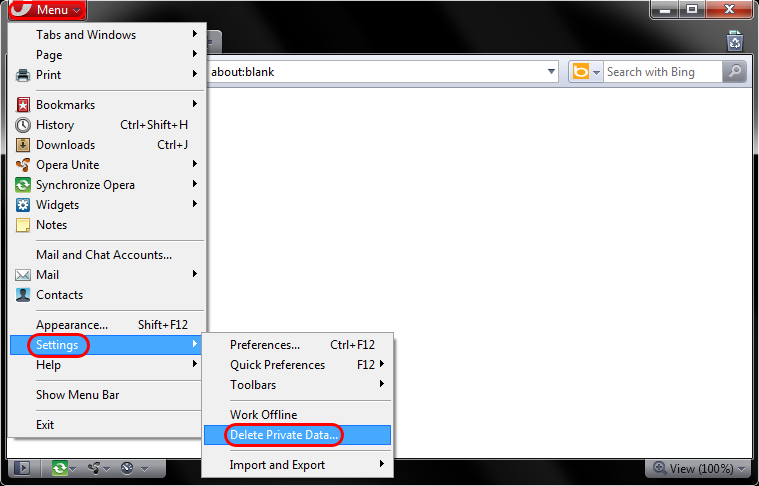 Now click Clear browsing data.